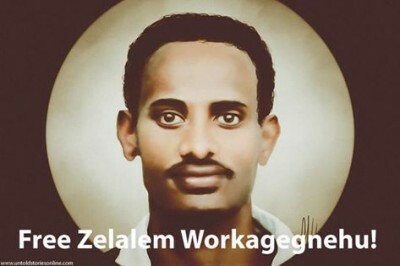 Photo-based graphic of Zelalem Workagegnehu by Melody Sundberg. Image used with permission. After a long trial driven by controversy the Ethiopian Federal High Court sentenced young Ethiopian blogger and activist Zelalem Workagegnehu to five years and four months in prison. Zelalem is a human rights advocate and a scholar who regularly contributed to the diaspora-run website DeBirhan. He is expected to appeal the decision. Currently Zelalem is being held in Kilinto prison in the capital Addis Ababa. However, his family and friends fear he will be transferred to Ziway prison, some 160 kilometers south of the Ethiopian capital. On April 15, the Ethiopian Federal High Court acquitted two of Zelalem's co-defendants Yoantan Wolde and Bahiru Degu, who spent more than 600 days incarcerated on terrorism charges critics allege were politically motivated. 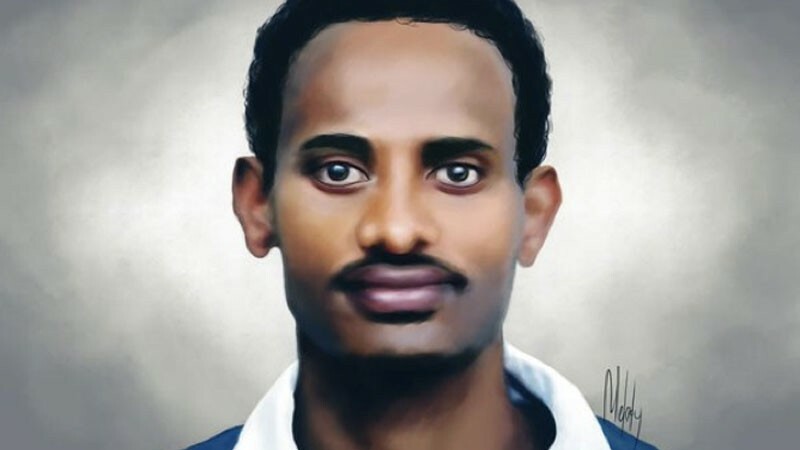 Zelalem Workagenehu, however, was found guilty of “supporting terror” for an alleged link to Ginbot 7 Movement, a pro-democracy political party founded by Professor Berhanu Nega and labelled as a “terrorist organisation” by the Ethiopian government in 2010. He was charged with conspiring to overthrow the government (he helped facilitate a course on digital security) and disseminating false information (he wrote regularly for diaspora-run websites that remain one of the true sources of reliable information on events in Ethiopia). Zelalem along with nine others were accused under Ethiopia's Anti-Terror Proclamation, which was adopted in July 2009. State officials defend the law, saying it is modelled on existing legislation in countries such as the United Kingdom. Zelalem was initially charged in October 2014, along with a group of nine other defendants that included Internet users, opposition politicians, and activists. So far, seven people in this group have been acquitted after spending more than a year in jail. Zelalem and his co-defendants told the court that they had experienced extensive torture in detention. While in detention, Zelalem was forced to sign confession letters. As a result of beatings and torture, Zelalem says he is now suffering from a severe eye pain.